The top teams in the state have familiar names. Raytown South is one of those known programs. 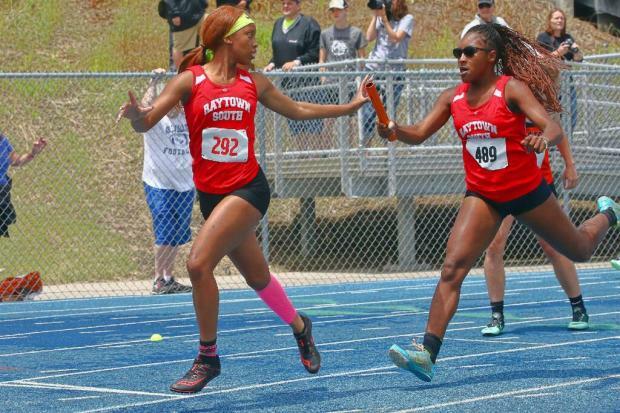 In the Kansas City area, they dominate the sprints and relays every year. Going into the state championship we had them pegged as being one of the podium teams. They came through surviving the six and half hour rain delay to have a solid finish as a group. Hopefully, in the near future, we can highlight this program in further detail. Coach Thomas Stueve is here to share in detail his team's accomplishments this spring. Coach Stueve: We feel really good about the meet. It is really difficult to win a state trophy. Anytime your team can get to the podium, it is always special. Ultimately, our plan is to win a state title. We felt we had the squad to accomplish that goal this year. Unfortunately, we had a significant injury to one of our top athletes at the state meet. Our team responded extremely well after the injury, many young athletes stepped up and competed. Although falling short of our state title goal, 4th place at state is very good, and we certainly celebrated that accomplishment. There wasn't a single turning point at the meet. We had a steady dose of solid performances, both during prelims on Friday and during finals on Saturday. I stress to my team that we can't win a trophy on Saturday if we don't take care of business at districts, sectionals, and state prelims. the girls handled their business throughout the state series. The biggest breakthrough goes to two athletes. First, senior Sunni Sellers. 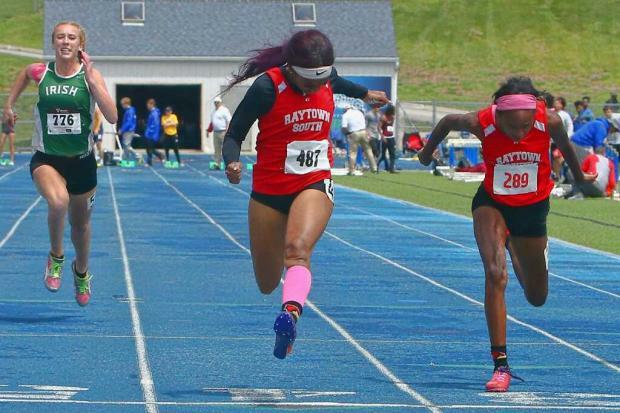 She ran a career-best 11.94 in the open 100 for 2nd and anchored our state championship 4x200 relay (with my other top sprinter out with an injury). Very proud of her as she came from behind to win that race. The other big breakthrough went to freshman Ciara Corley. 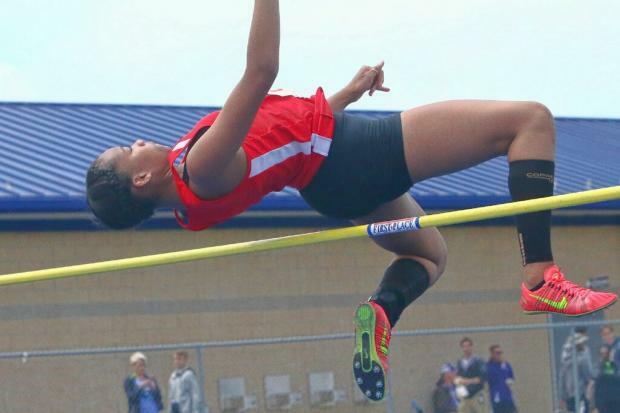 She cleared 5' 4" to win the high jump state title. I'm excited to see her continue to grow over the next three years. No history was made to my knowledge. Raytown South has had many tremendous athletes come through the program. I will say this is the first year in at least the last seven that we've scored field event points. We're typically sprint heavy, I'm excited that a sophomore placed 7th in long jump and a freshman won the high jump title. We are looking to be more dynamic in the years to come. I felt our athletes handled the conditions fine. It is nothing that anyone wants to deal with, but every athlete did deal with. The weather conditions were the same for everyone, we just had to go out and compete like the rest of the teams did. I think it would be nice to hear accomplishments of athletes while on the starting line. Sectional times, career bests, defending champion, or other accolades. I think this would get spectators extremely involved and enhance the sport in our state.